My grandson Rowan Sheffield, 3 months old had to get involved making sopressata. 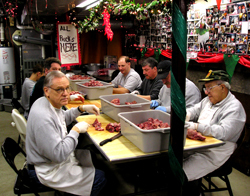 We live in Oxford, Pa., Amish country , where Italian cured meats and cuisine isn't really appreciated so we make it ourselves every January. 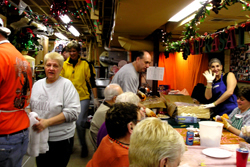 We're located about one hour away from the Italian Market in South Philly and make numerous trips to get our fill of Italian cheese and bread. Wow see the big press. Note the flat pressed product. Although this video is not about making Sopresata the only major differences are the cuts of meat and the size of the casing. I love the group effort and the whole hog, not to mention the high video quality. 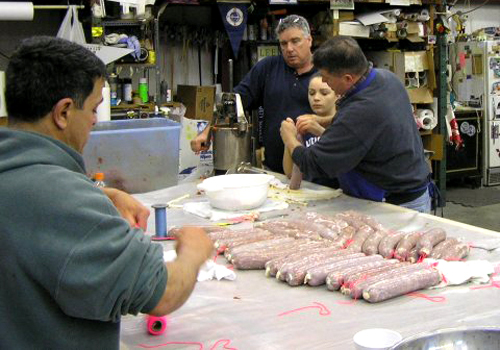 I've been making sopressata since I was old enough to stand up at the table. First with my grandfather over 50 years ago. Then with my father. Now I make it with my kids and some friends. Every year we make between 500 and 600 lbs. We've progressed to running two grinders and two stuffers at a time. 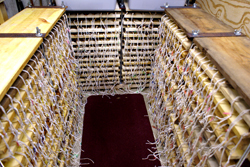 We do cheat now and use electrical zip ties insted of tying with string , it's so much faster. We still tie loops of string and attach them with the tie for honging. 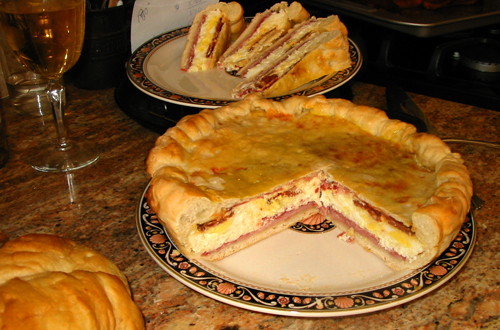 He also included a picture of an Easter pie with the sopressata inside (see his Easter pie recipe). 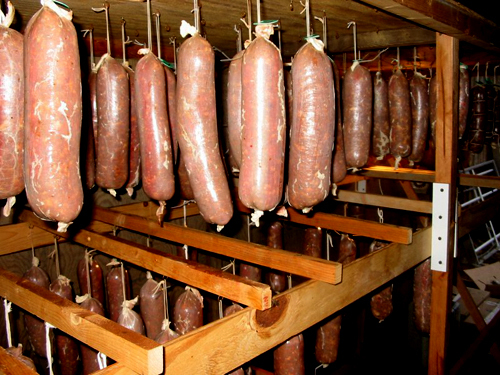 Answers to the most frequently asked Sopressata making questions. Presented by sopressata.org and hosted by Billy King (The Sodfocker) this nearly 40 minute video covers material not posted anywhere else on the web. Subjects include: casings, pressing, drying, storage, ingredients and many other tips and tricks. This video is exclusive to sopressata.org and is not found anywhere else on the web. This video is posted by an unknown source with no description, however I think it is a good step by step video. This video does not show the pressing, hanging and drying of the meat. It looks like these folks add tomato paste to the recipe, does anyone else do this? Let us know in the Bulletin Board/Guestbook section. If you would like to post your video or pictures please send them with a brief description to jimmy@avitra.com. 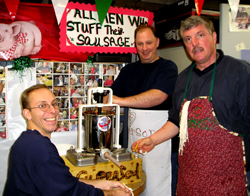 Although Sopressata.org (Avitra LLC) is a for profit group, we still need your help. Please consider a small donation in the amount of $10 to help us continue providing this community service. FYI, this donation is not tax deductible.